The ultimate VIP hen night bar package with cava on arrival. The Runaway Bride is the perfect pre made party package if you’re looking for some wild nights out! 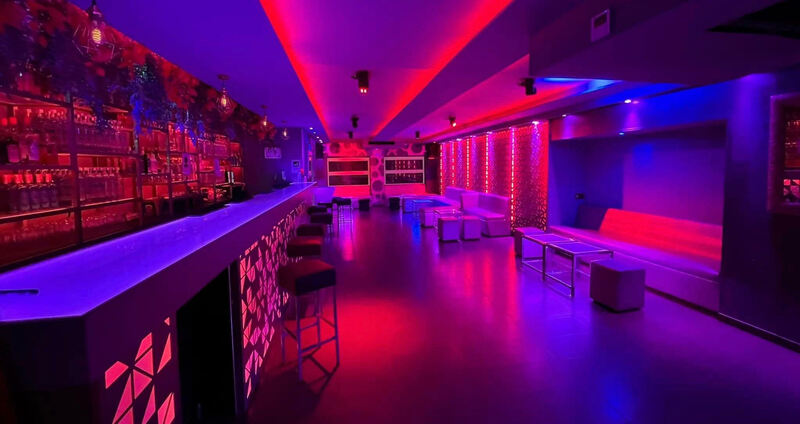 Your package includes private airport transfers in a Mercedes mini bus, a VIP booth at one of the busiest bars in the port complete with cava on arrival, a cheeky butler brunch with mimosas at your accommodation and an hour of unlimited drinking with a side of stripper – the perfect pre drinks activity – in a central bar in Puerto Banus! This package is incredible value and a great start to any hen do! Want to add in some extras such as a beach club or restaurant reservation? Just let us know in the contact form below and we can create the perfect package for your group! Check out what we have planned for you below .. Instead of worrying about how you’re going to get from the airport to you’re accommodation let our private chauffeur pick you up and deliver you to the doorstep of your hotel. All of our transfers are provided in private Mercedes mini busses complete with a suited and booted driver who will be ready and waiting for your arrival before your flight even touches down in Malaga! No stops, no delays, no stress and no wasted drinking time! Then when you’re all partied out and ready for home we will pick you up and pop you down the road back to Malaga Airport – Perfecto! This one needs little explanation, with a combination of a bottomless bar and a bottomless bloke there is literally no better activity to kick off your Marbella hen do! Enjoy unlimited beer, wine, cava and house spirits for an entire hour with a side of our one man magic mike strip show – what’s not to love? It’s time to go crazy in the world famous Linekers Bar – the ultimate party venue and a must visit for any Marbella Hen Do! With your own private VIP area, a personalised plazma TV screen with up to 15 pictures of the bride to be and cava on arrival it’s the perfect Puerto Banus venue to visit on your vacay! The perfect activity for the morning after the night before! Sip mimosas and enjoy a continental bubbly breakfast prepared and served by our butler in the buff, all in the comfort of your own accommodation. This Package is available from the start of March to the start of October. If you are arranging a hen do outside of these dates please contact us here and we can put a package together for you including activities in Marbella available at the time of your trip. Please note all packages depend on the availability of each venue. Whether each venue is available or not on your desired dates will be determined prior to booking and the final reservation will only be made upon payment. Flights and Accommodation are not included. The price listed is an estimate and will change depending on the size of your group, the price listed on this page is based on group size of 10. For some venues arrival times are not flexible so please check the assigned time is suitable before booking.